Seeing your density concentration pattern really intrigued me and is what motivated me to go out and buy the Nano to tear down for a better look. Variable density is not needed when evenly lit from 3 sides facing into the center. How did you create your pattern ? I'm interested in that for other fun stuff. My pleasure, your super detailed teardown was fascinating - I appreciate you spending the time and money. I'll give a regular pattern a go, your photos and description are perfect - if I get a workable script together I'll post it so you can hack it to whatever you have in mind. 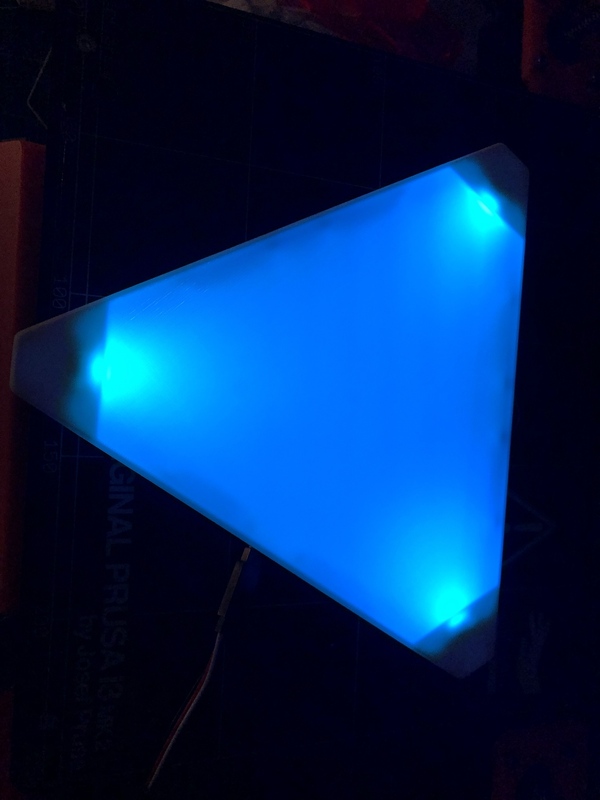 It's similar to the top sheet in the NanoLeaf, just a shiner smooth top surface. I also notice that other LGP makers use the Dot Matrix pattern as well as a Line Matrix pattern (grids) I suppose honeycomb matrix patterns etc could also be used. The pre-made pattern, mask, vector path, and the exact Adobe Illustrator file I used to create it are included, along with the Python3 code used to generate the images. I quickly annotated it in case it's helpful for anyone who wants to tweak the parameters of the LGP for their builds. 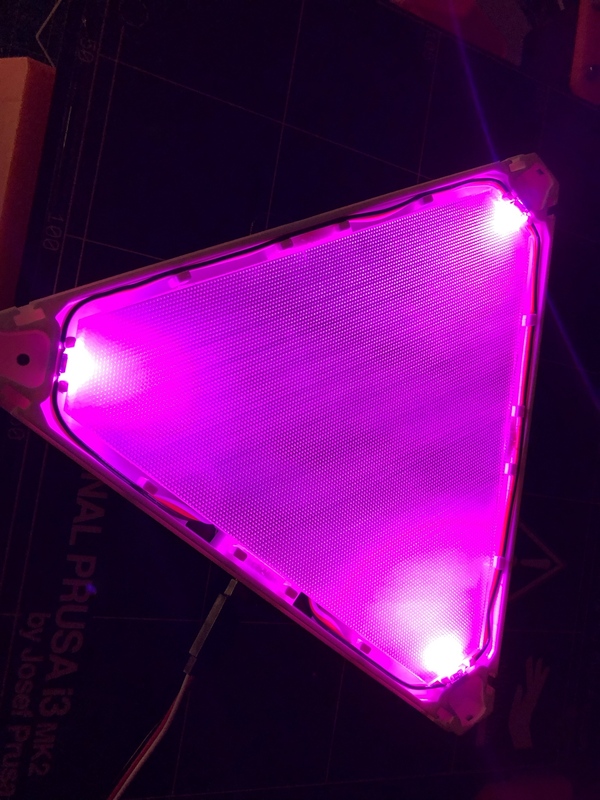 @SuperDave42 - I'm looking forward to seeing your tests with the proper diffuser material, that could take the build to the next level! 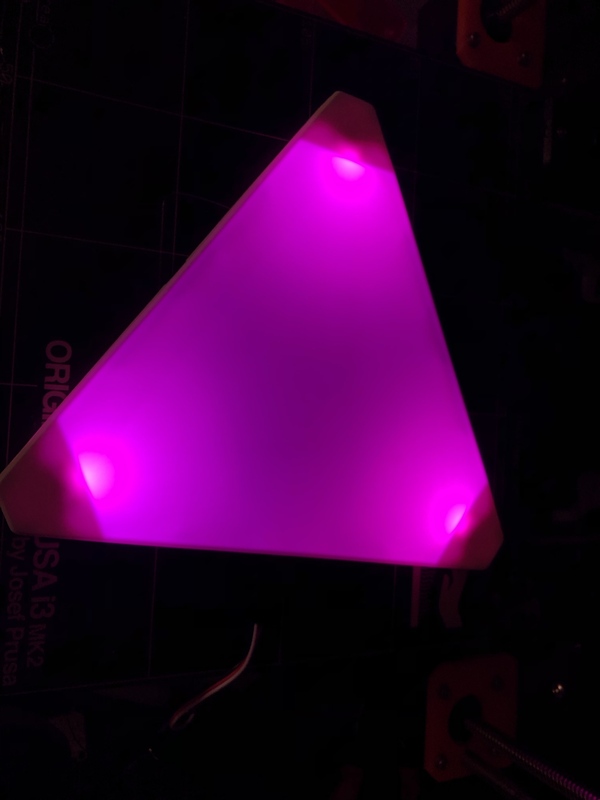 The edges of my LGP are wide enough to fit 3 LEDs to a side using the higher-density light strips we discussed in the other thread - I think I'll make some small edits to the moodlite v2 model to accommodate that arrangement and post the results. Look at that amazing diffusing happening with this guy's developed infill option... Has anyone tried this yet? Would be interesting to see how it looks like on the moodlite panel. However, his box is massively big which definetly helps with scattering the light as well! The scattered-rectilinear infill just makes the infill pattern less visible on the surface, I don't think it contributes much to the actual diffusion (diffusion in my design was provided by 1x0.1mm white bottom and 1x0.1mm white top, the total diffuser thickness is 5mm). That guys leds are on the bottom not the sides and the distance between bottom and diffuser is bigger than with the moodlite. For me I made a 5mm taller top with pla diffuser (just remodeled the original top to be 5mm taller , moved the pins and made the sides a bit thicker for less diffusion on the sides) I am thinking of remodeling the tile top frame only so I can fit a 2mm acrylic which I will be sandpaper frosting with the top tile raised 5mm again . Will post results when I do. Is sb tried out non-clear plexi? Maybe non-clear plexi with some bathroom glass coverer? I just surfed on the internet and find some really interesting plexi, just wanted to ask if anybody has any experience with them. Also what about layering multiple diffusion layers? BTW what do you think about the square and hexa shapes (fix the diffusion with picking other shapes)? I think the hexa is much easier to light up without "blindspots". Other question: Is sb tried to place leds to the edges?